Beloved son, brother, husband, father, grandfather, and friend, Joseph D. Jensen, passed away on Thursday, September 28, 2017 following a long battle with Alzheimer’s Disease. Joe was born in Salt Lake City, Utah, on October 2, 1942 to William D. and Jane Snow Jensen. He spent his childhood in Draper, Utah. The family later moved to Lehi, Utah where he graduated from Lehi High School. He attended Brigham Young University where he graduated with a master’s degree. Joe married Linda Wadley in the Salt Lake Temple on December 18, 1964. They are the parents of four children and the grandparents to 12 grandchildren. Joe always had a big smile and a solid handshake for everyone he met. He was a dedicated member of the Church of Jesus Christ of Latter-day Saints and served in many callings during his life. As a young man he served a mission to the then Gulf States Mission. Later in life he served as the first Bishop of the newly created Brookhaven Ward in Fruit Heights, Utah. Joe and Linda had the privilege of serving together as service missionaries guiding visiting guests on tours at the L.D.S. Conference Center in Salt Lake City, Utah. Prior to his retirement in 2008, Joe worked for the LDS Church in the Fleet Administration Department. He always considered that opportunity as a great blessing where he made many wonderful friends and associates. Joe is survived by his wife Linda, sons Steven (Jody), John (Bridget), Jeff (Julie), daughter, Jolin Prisbrey (Mike) and grandchildren Bailey, Melissa, Zach, Alex, Jacob, Sarah, Ian, Emma, Ethan, Dylan, Ella and Claire. He was preceded in death by his father, mother, and sister. Funeral services will be held Thursday, October 5, at 11:00 a.m. in the LDS Catalina Building at 1520 South Catalina Street, Gilbert, AZ. 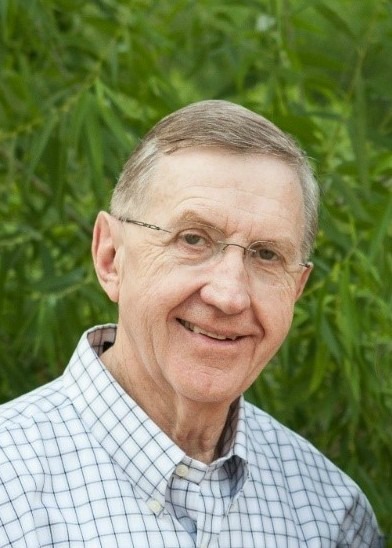 Prior to the funeral, a viewing for family and friends will be held from 10:00 to 10:45 a.m. Burial will be in the Pleasant Grove City Cemetery, Pleasant Grove, Utah. A graveside service will be held Saturday, October 7, 2017 at 12:00 noon. A special thank you to Hospice of the Valley for the kind and caring help and support provided to Joe and the Jensen Family during a very difficult time. Because of all the tragic events currently happening in the world, in lieu of flowers, please consider contributing to a cause important to you. Thank you. What a truly good man! I was privileged to know Joe when he and Linda lived in the Brookhaven Ward where he served as bishop. We developed a friendship for which I was grateful. He touched the lives of many for good including mine! My sympathy and prayers are extended to Linda and all of the family. I was privileged enough to meet Joe when he was still a healthy strong man who was clearly devoted to his wife and loved his family. It is a beautiful thing to see a wife love her husband as much as Linda loved Joe. While I am sure you are all lost in sorrow now, remember you will see him again and he will be his best self once more. I will keep you all in my thoughts and prayers.